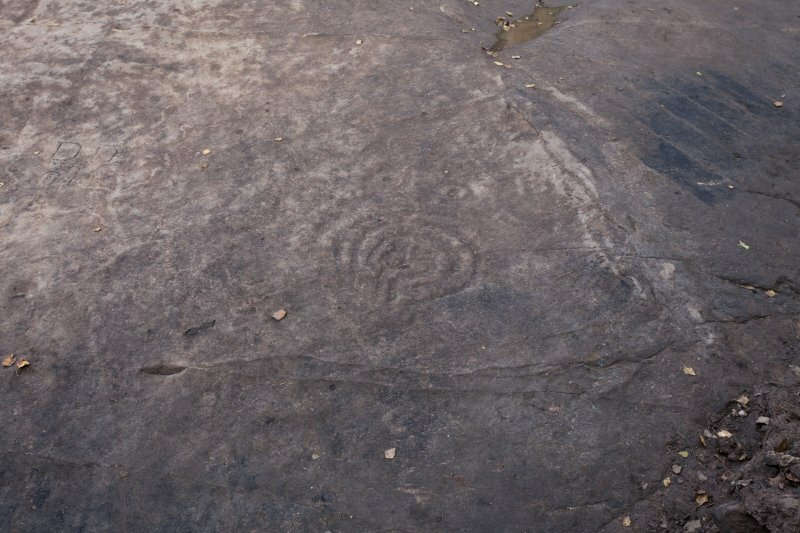 Detail of cup and ring marks and grafitti. 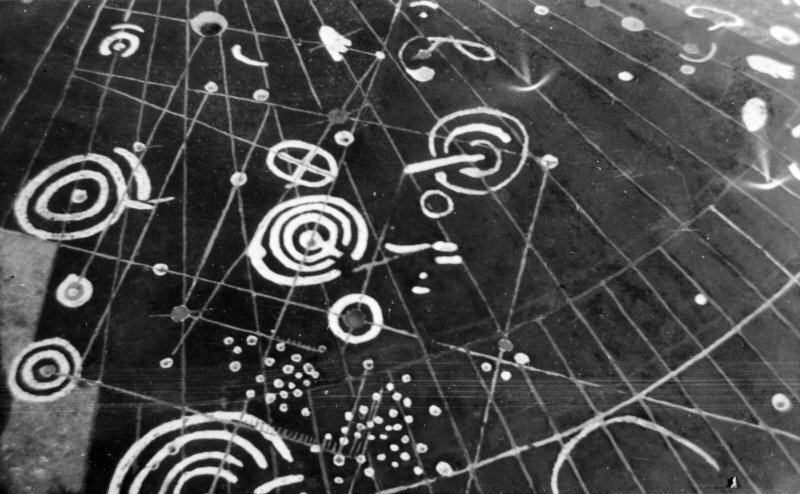 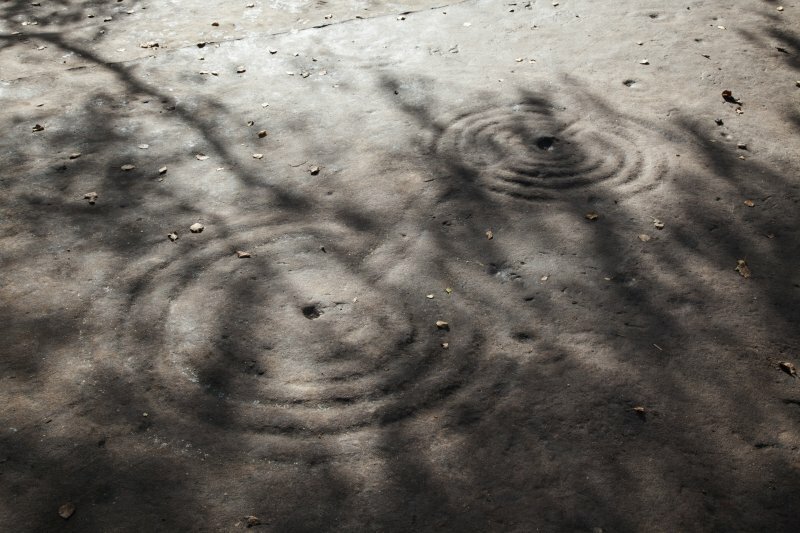 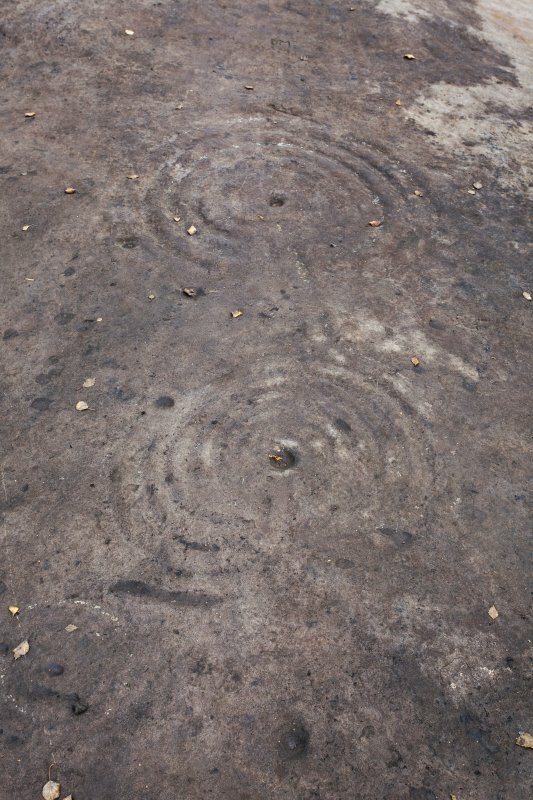 Detail of cup and ring marks. 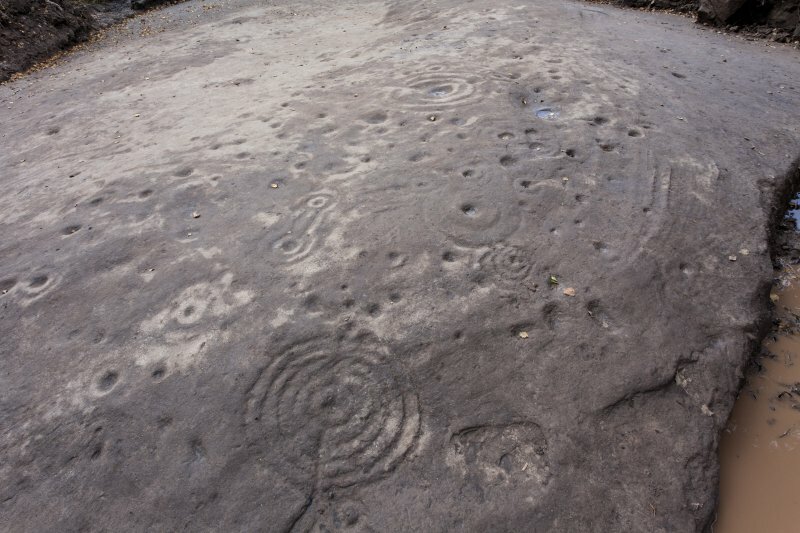 Hi Spy view of the Cochno Stone, taken from the north. 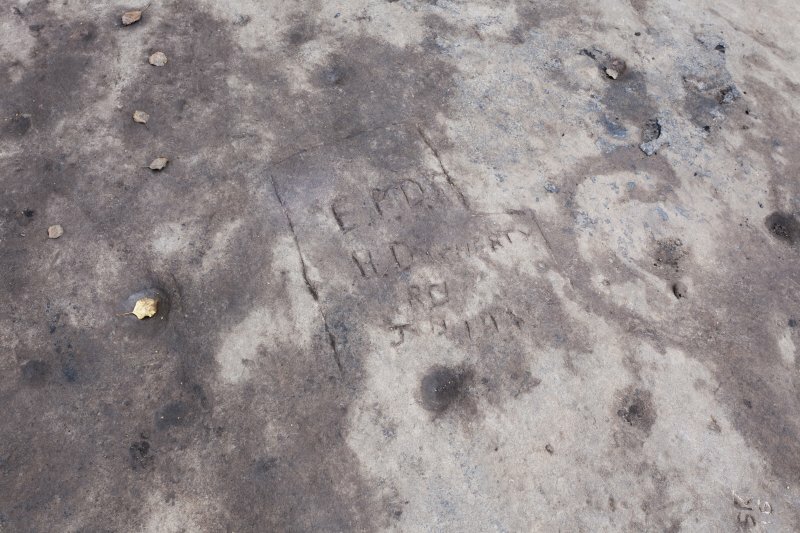 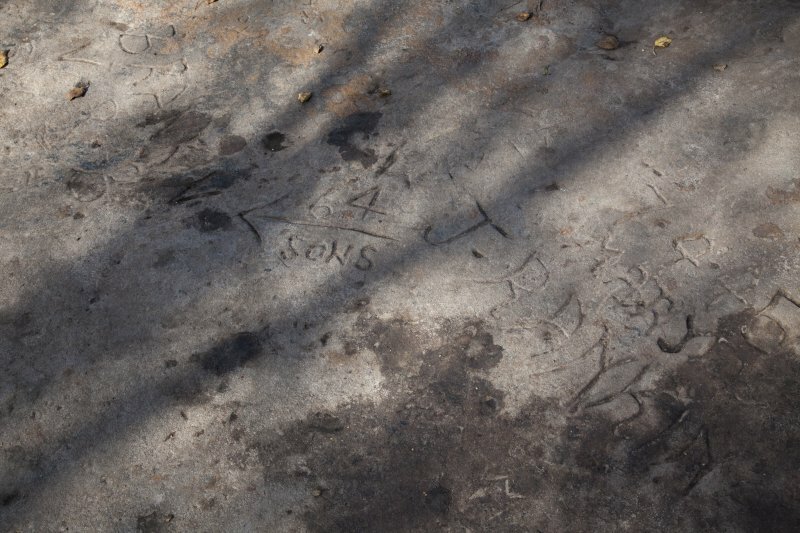 Detail of cup marks and grafitti. 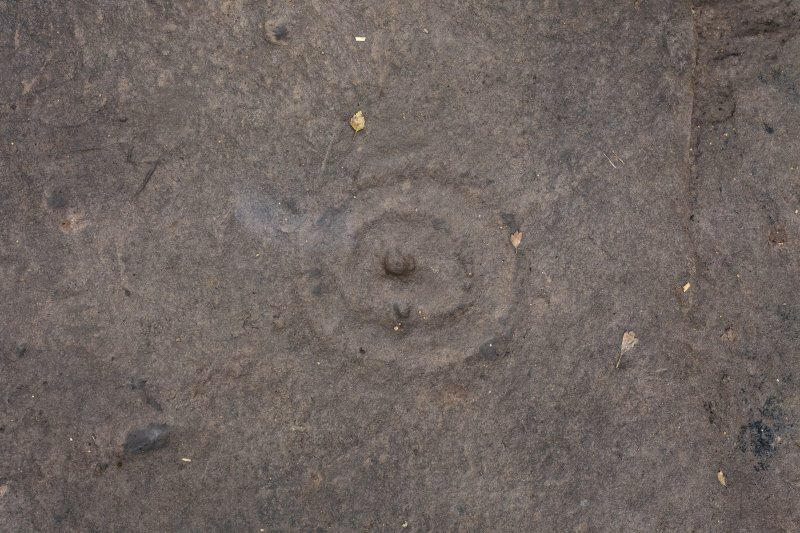 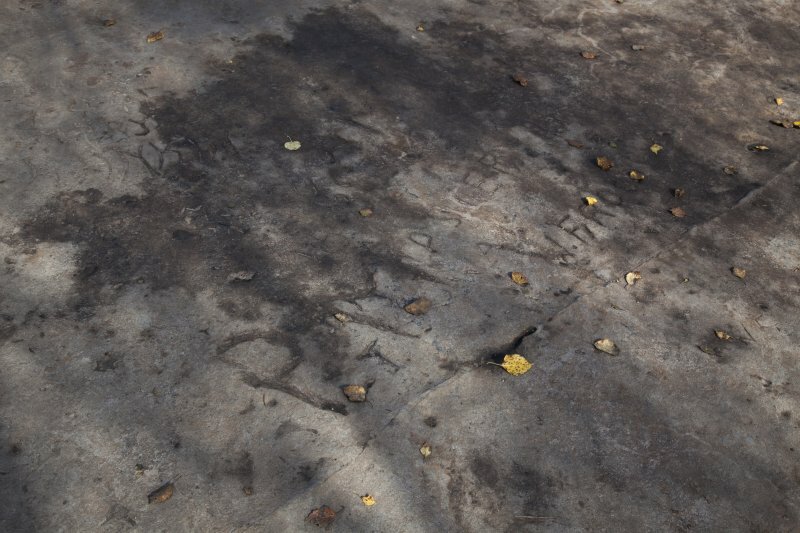 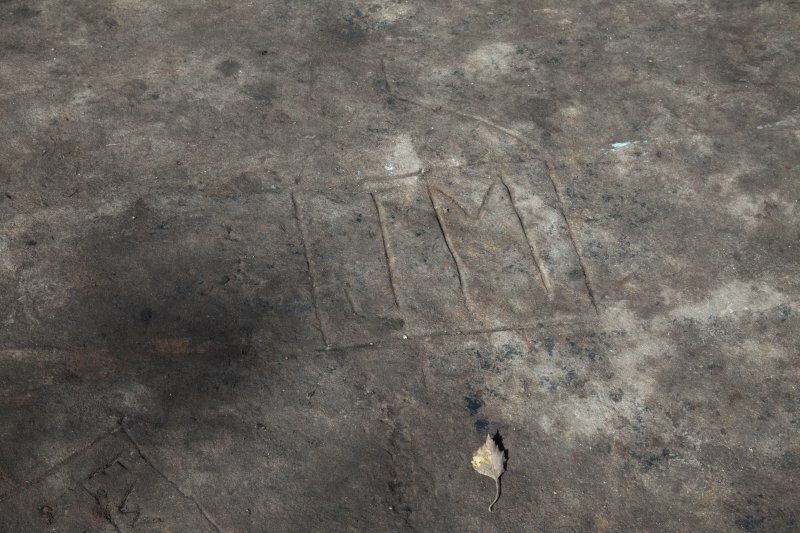 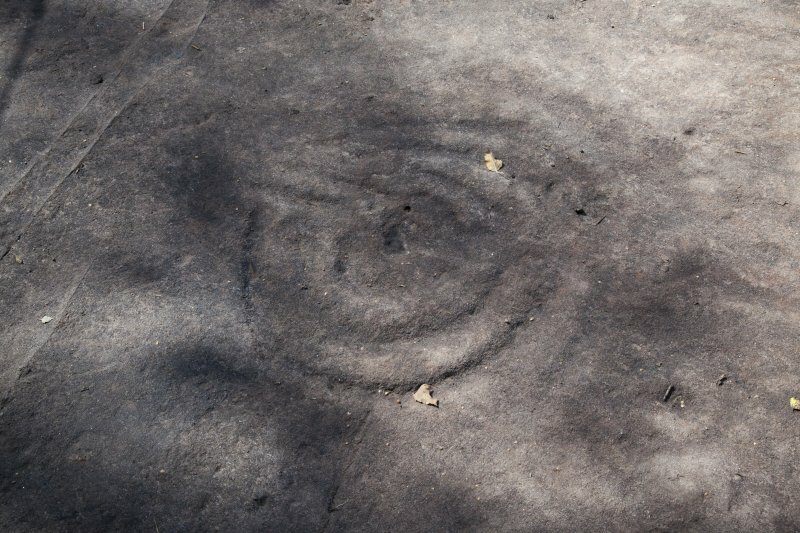 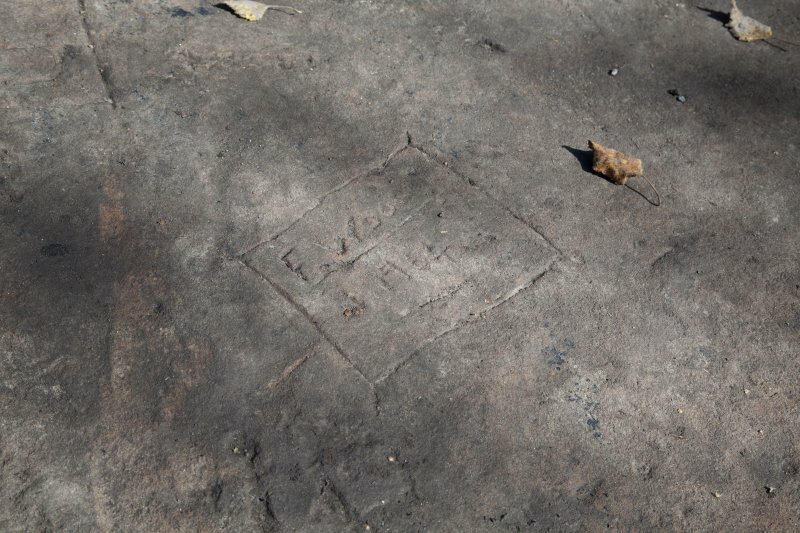 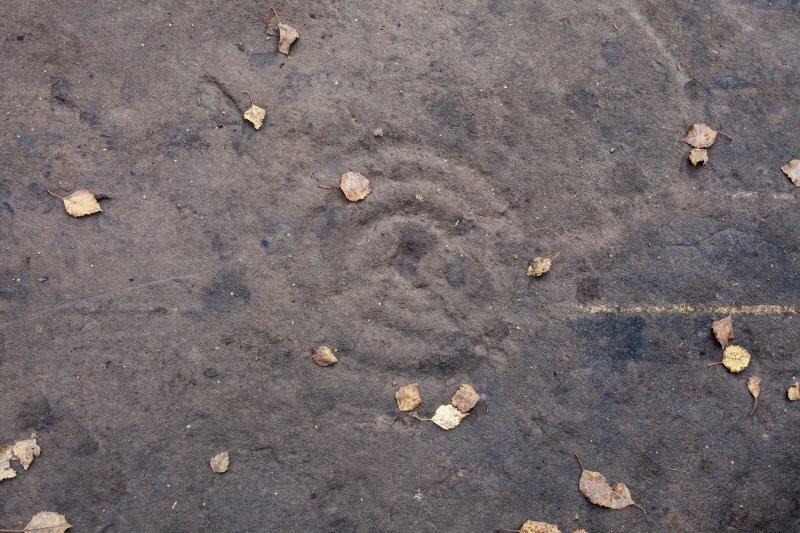 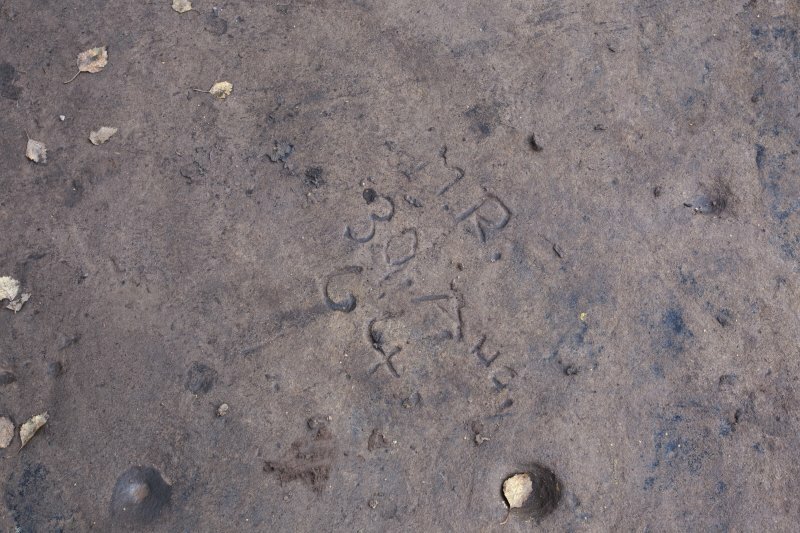 Detail of cup and ring mark. 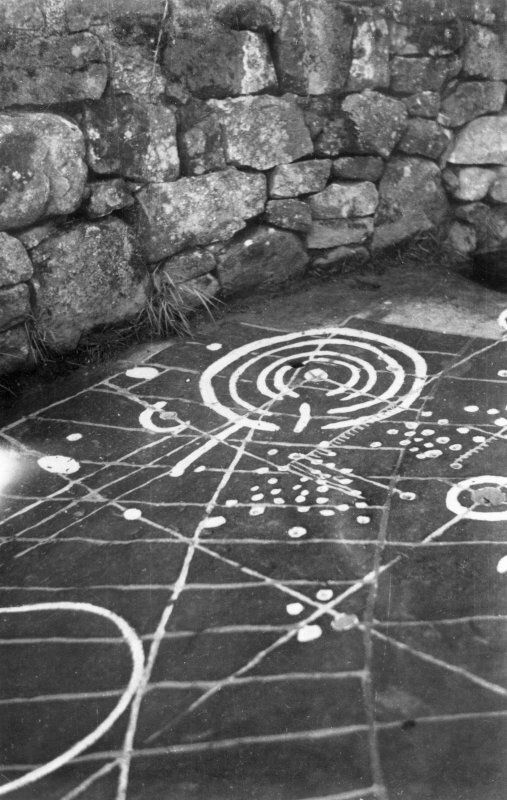 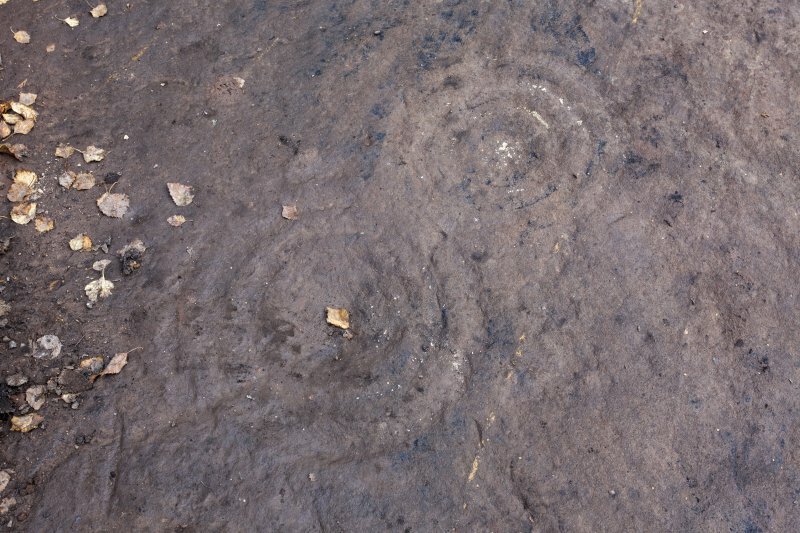 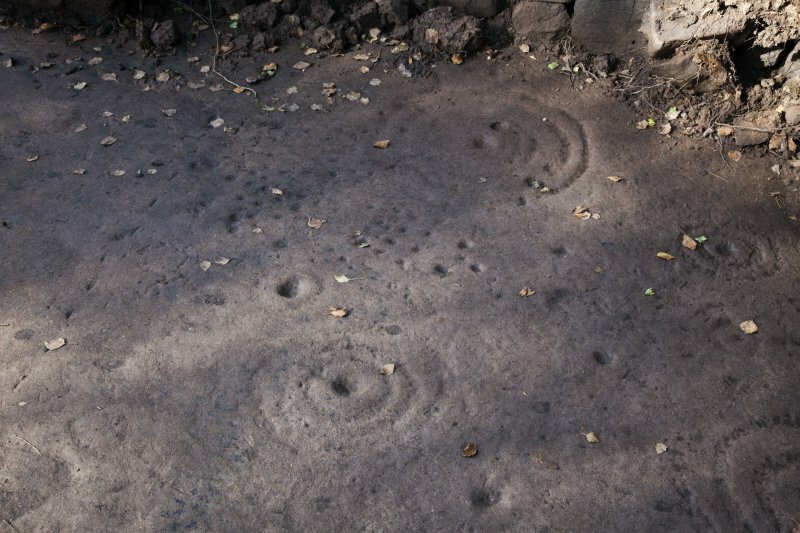 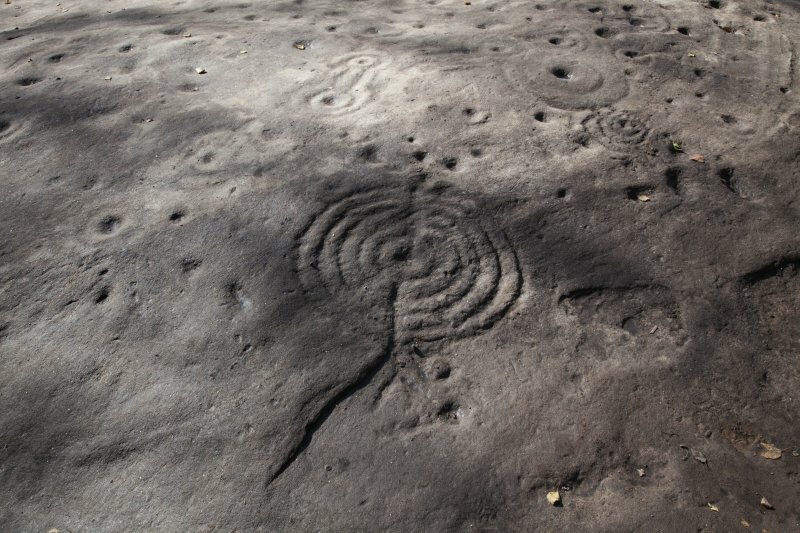 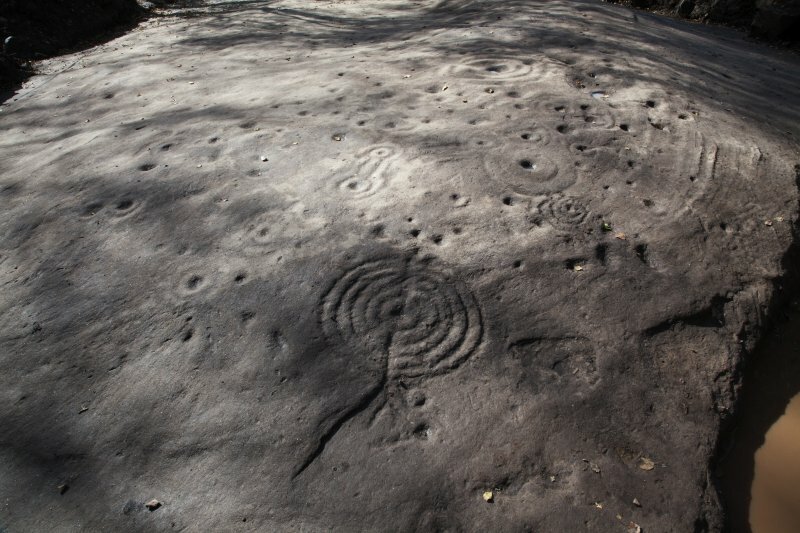 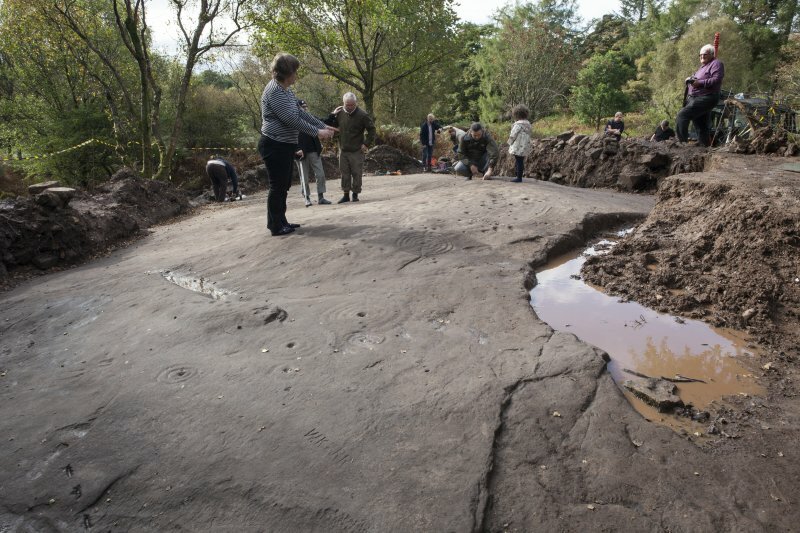 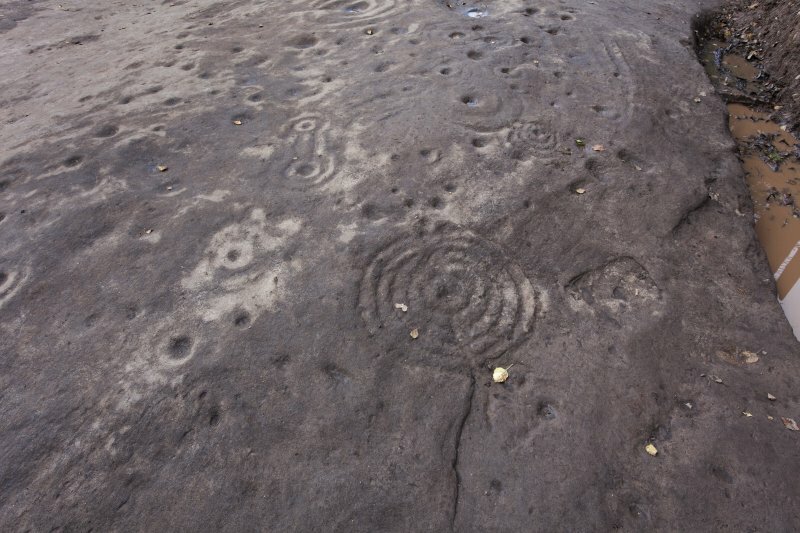 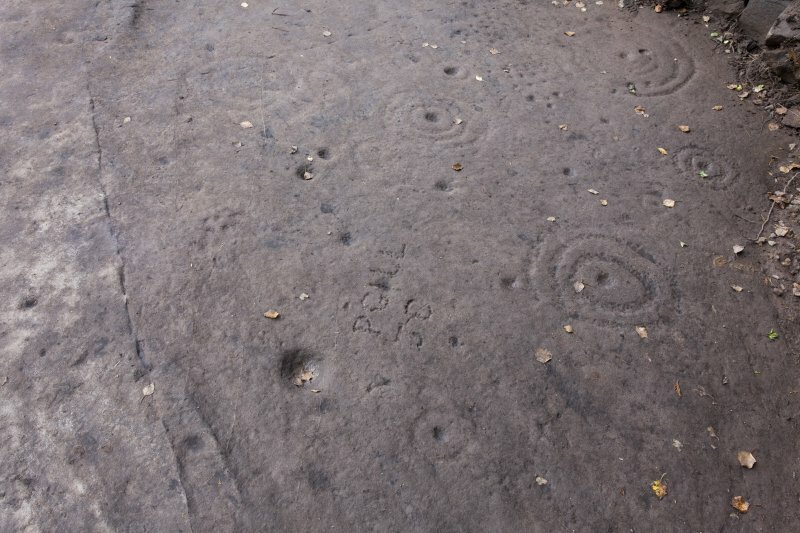 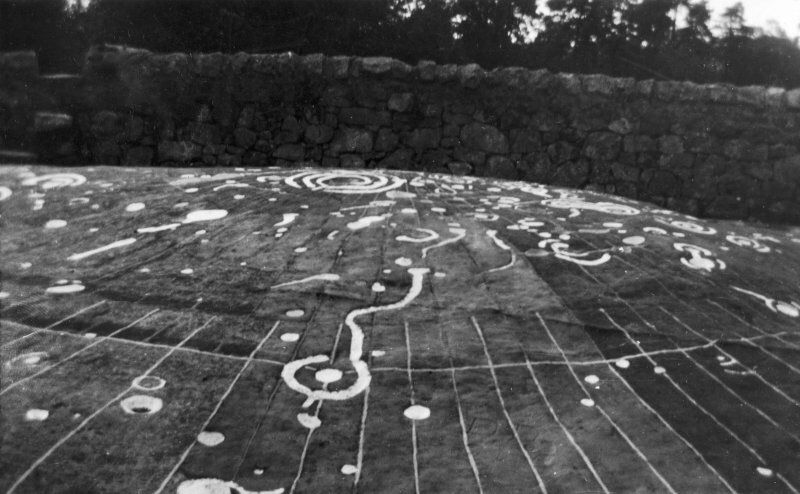 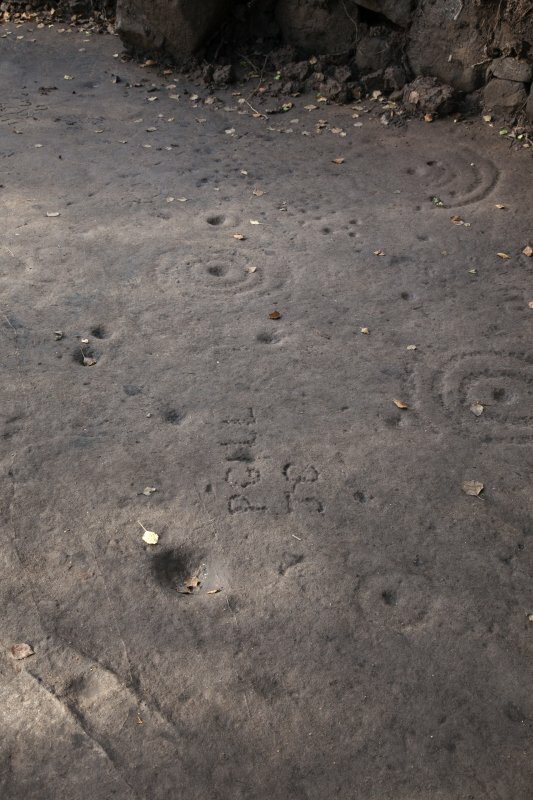 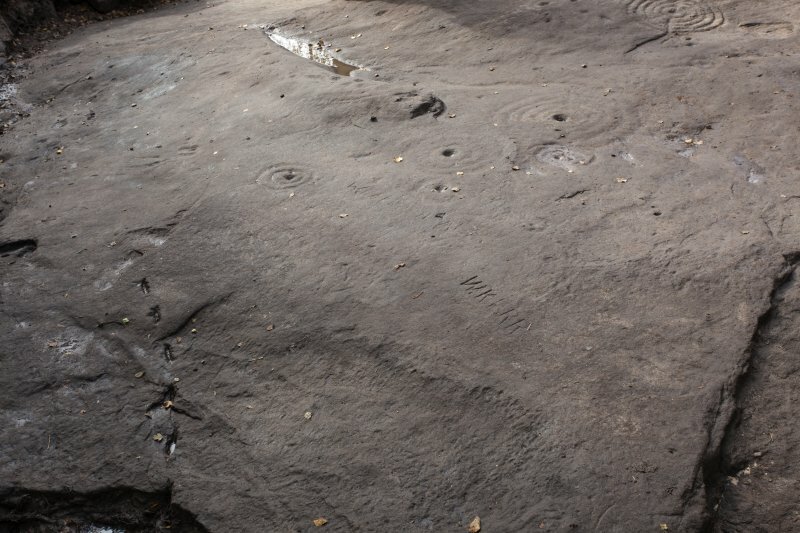 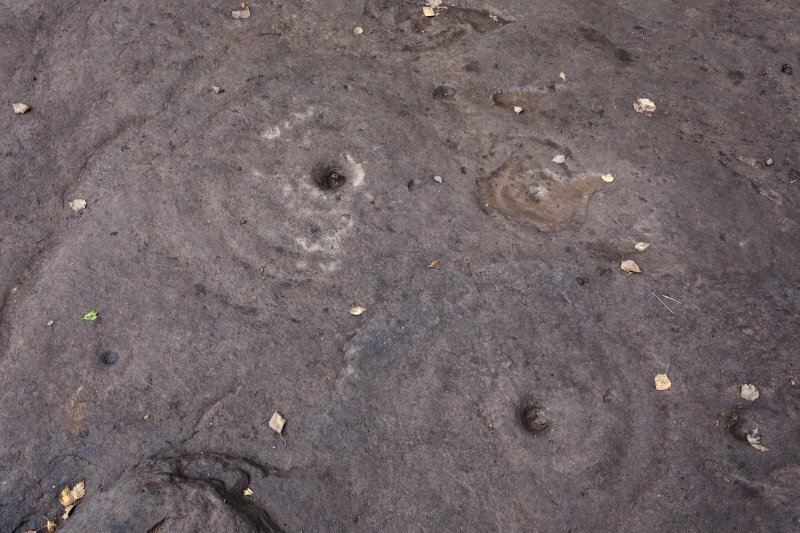 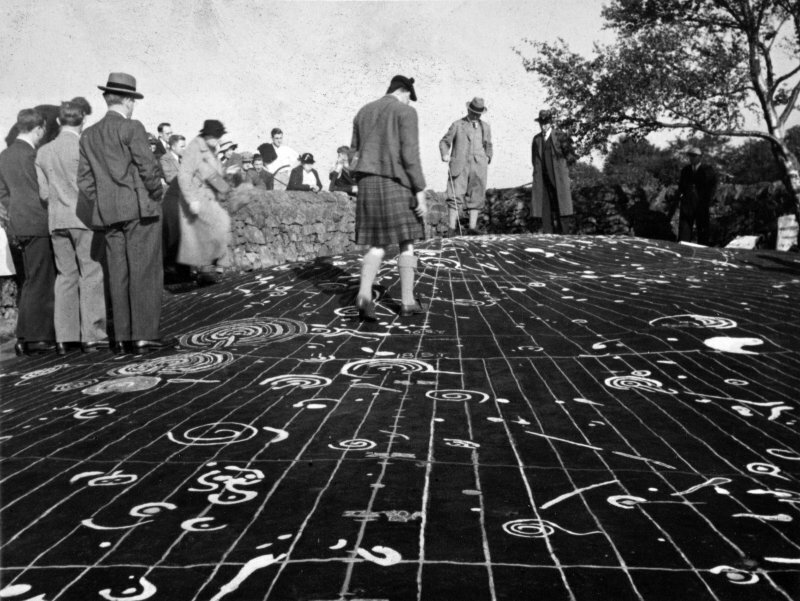 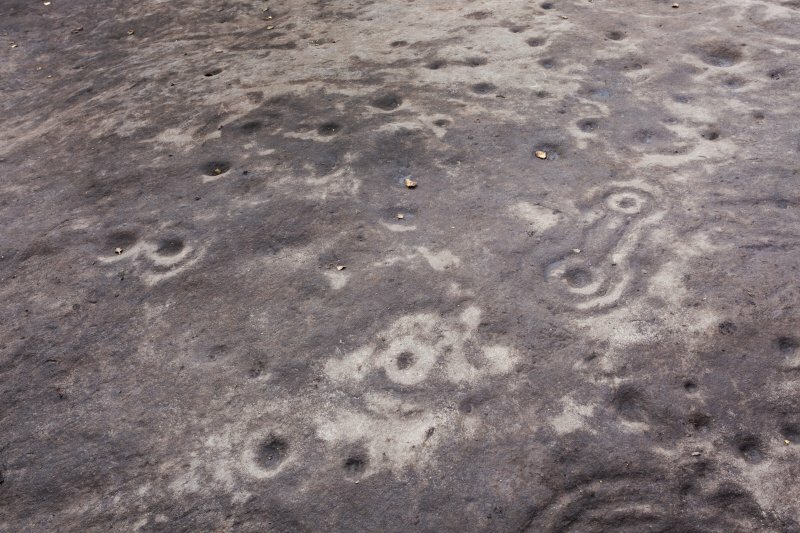 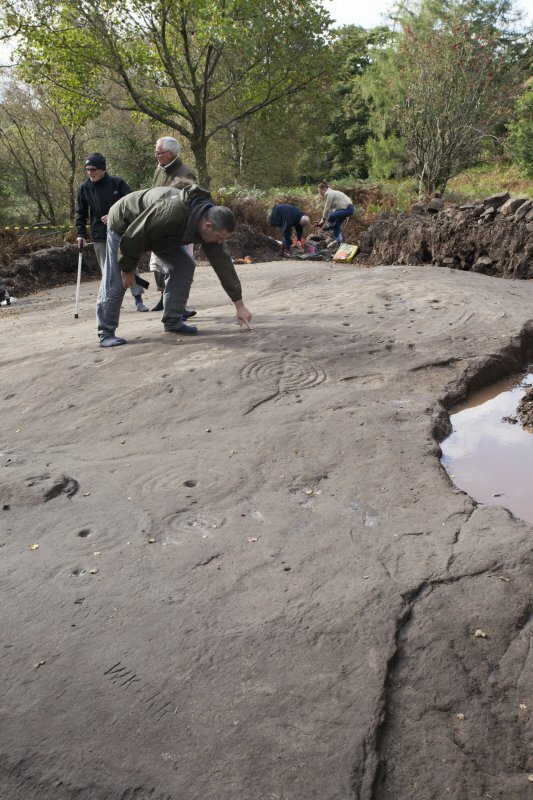 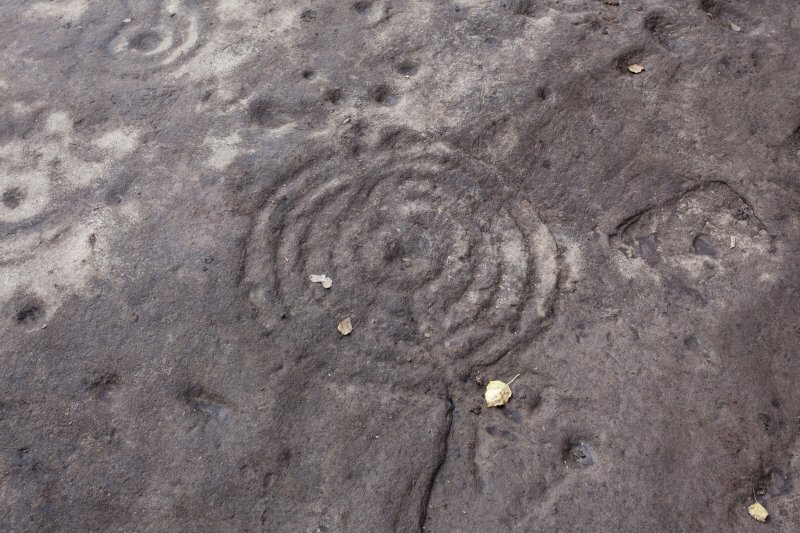 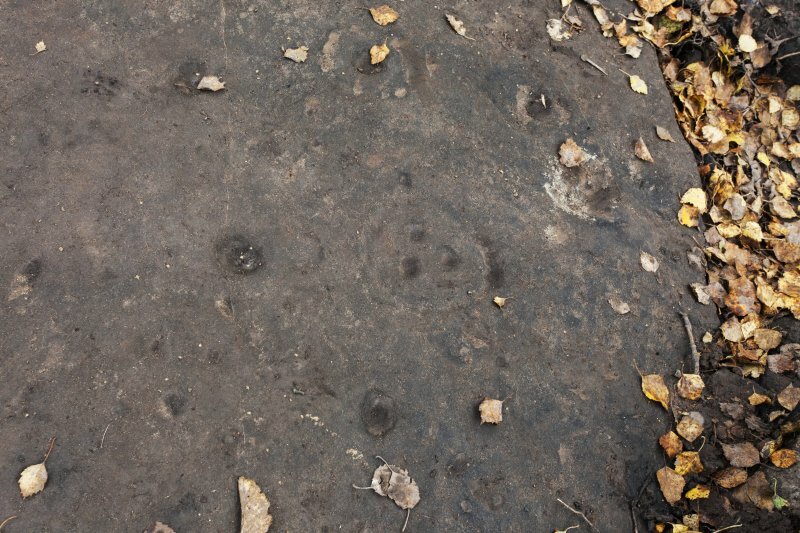 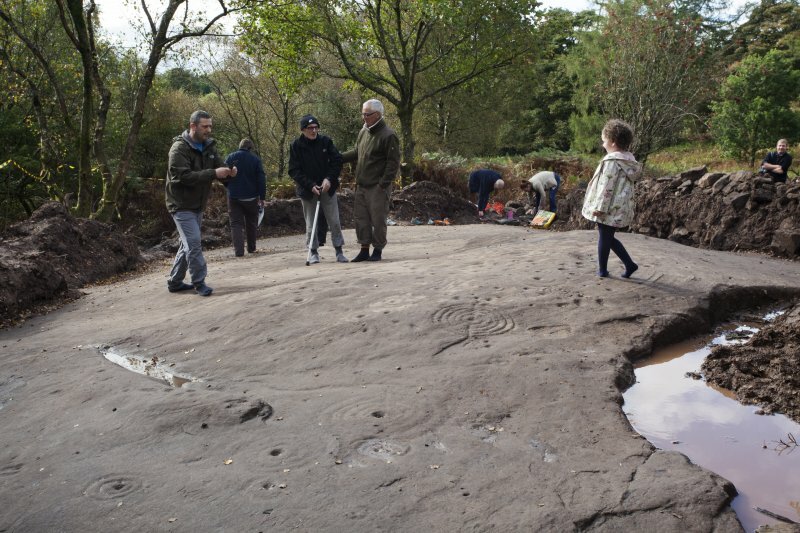 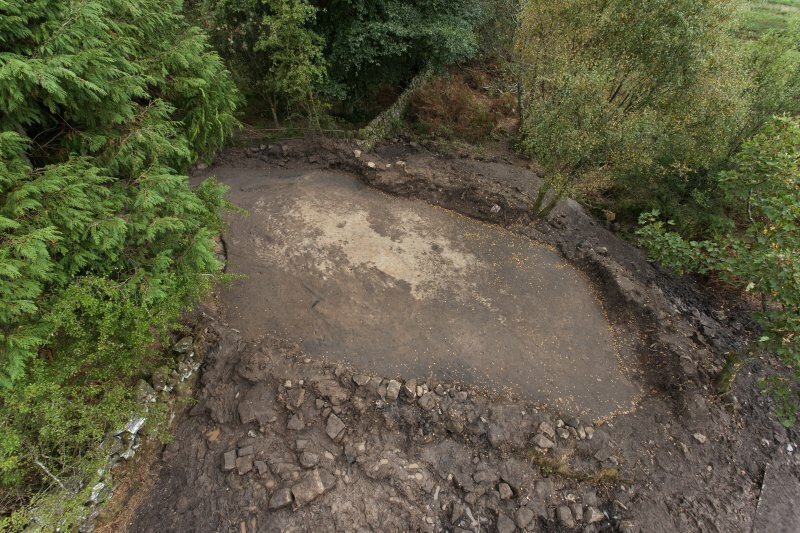 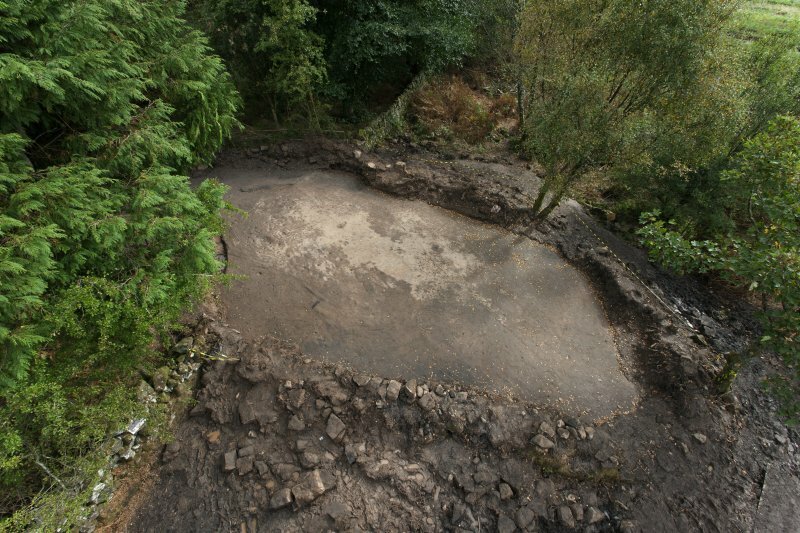 General view of the Cochno Stone during open viewing, taken from the east. 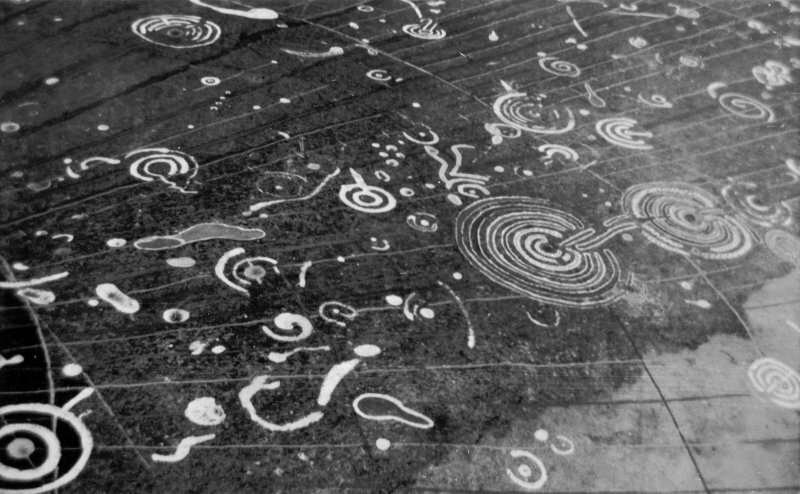 See also NS57SW 6, NS57SW 7, NS57SW 16, NS57SW 31, NS57SW 33, NS57SW 34, NS57SW 35, NS57SW 37, NS57SW 38, NS57SW 42, NS57SW 45, NS57SW 48, NS57SW 70. 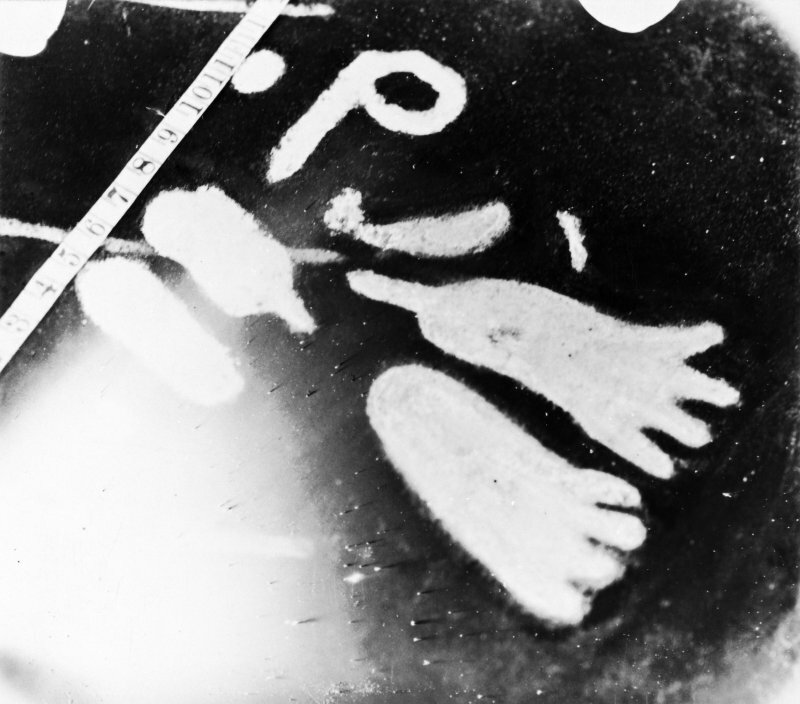 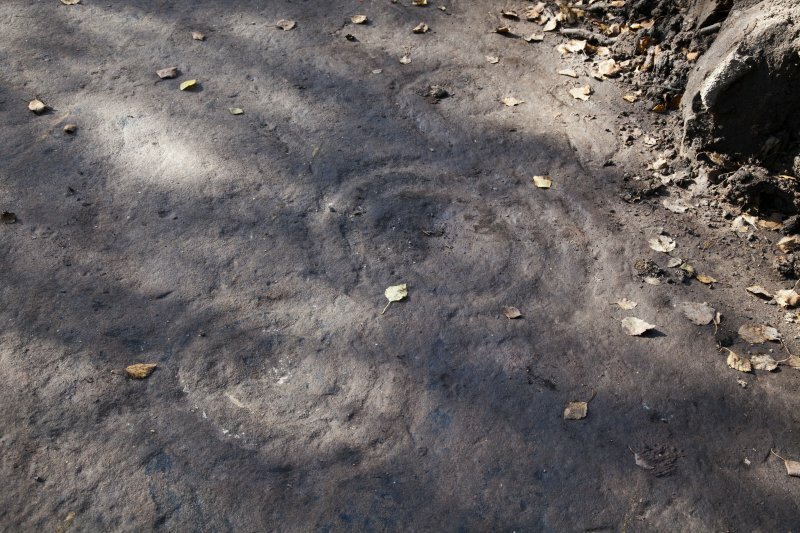 Cup and ring marks accompanied by an incised pre-Christian (Bruce 1896) cross set within an oval, and two pairs of scuptured footprints, each foot only having 4 toes. 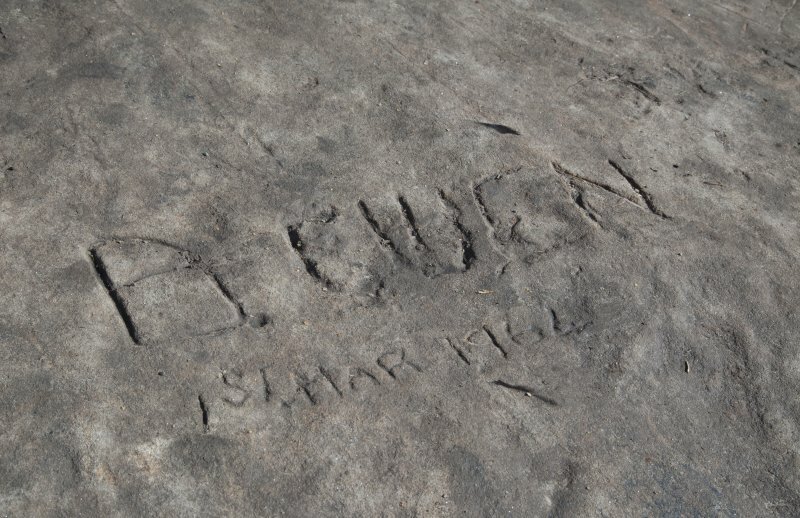 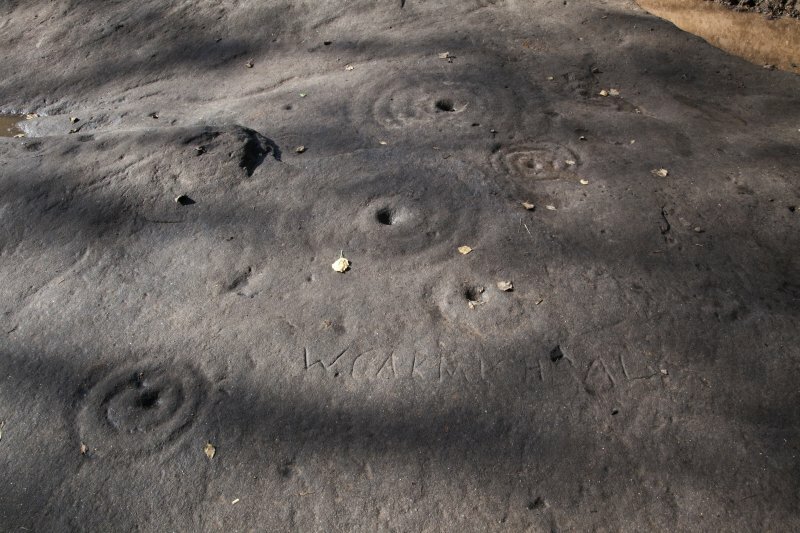 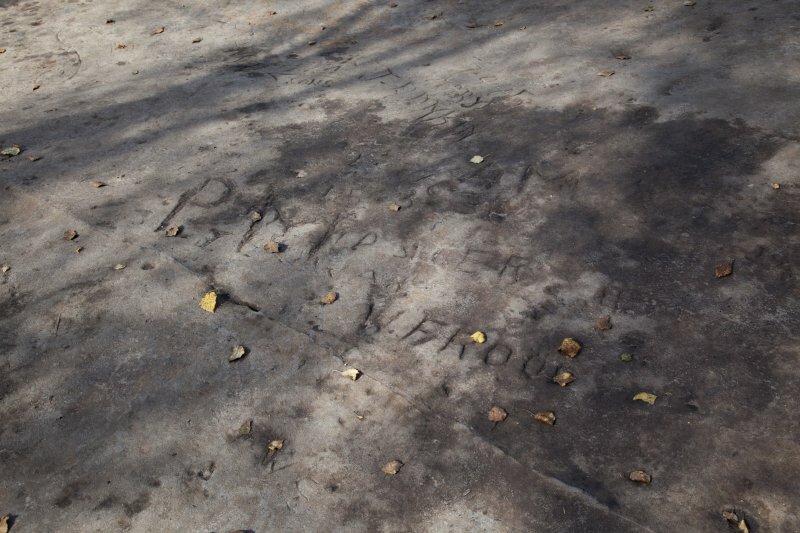 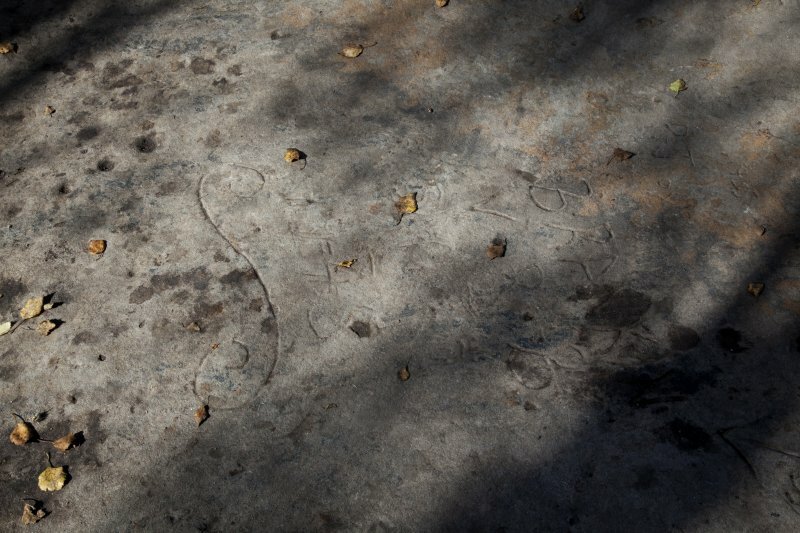 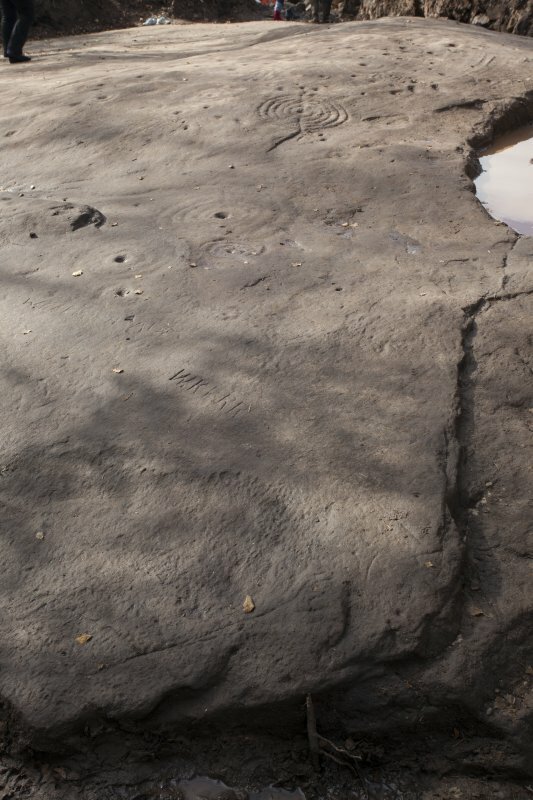 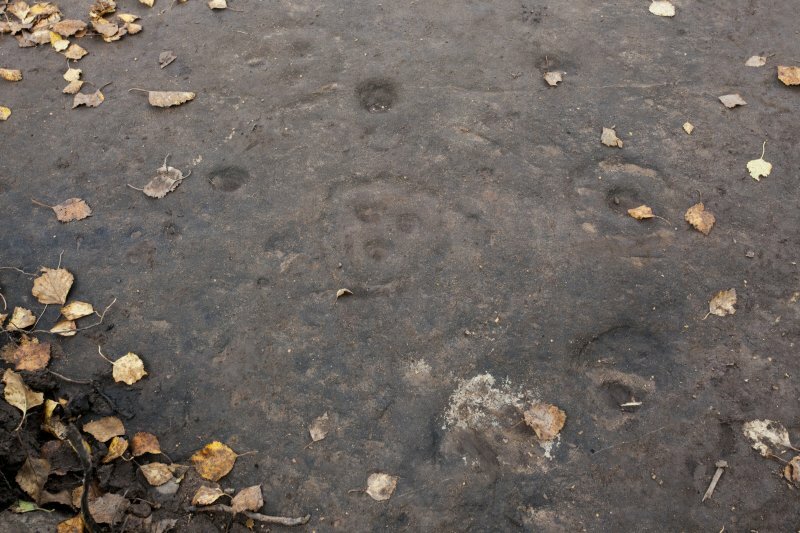 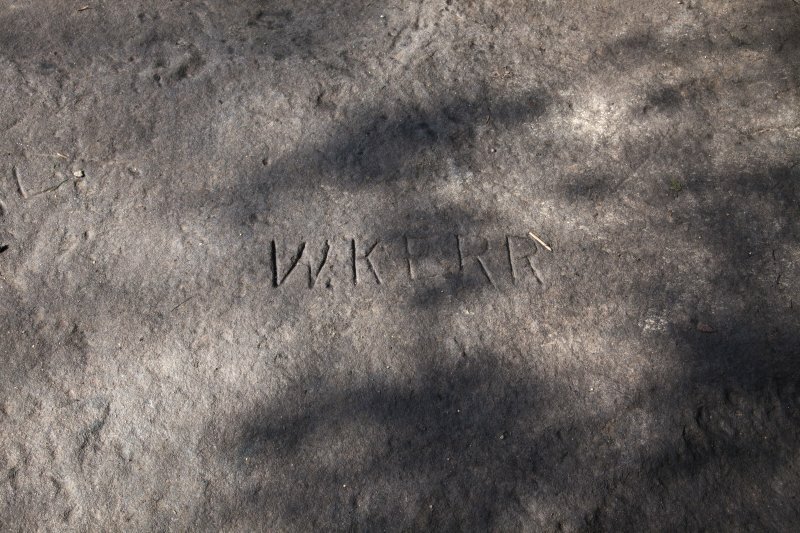 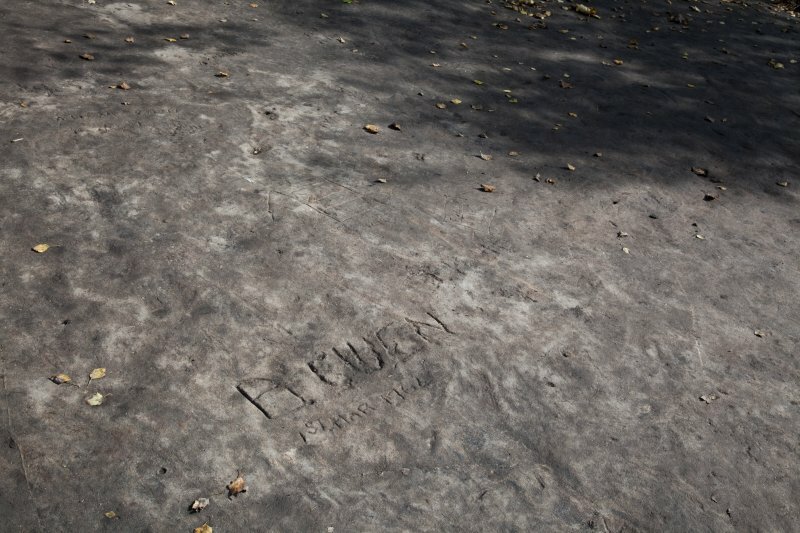 The figures have been carved on the previously prepared surface of an area of rock outcrop. 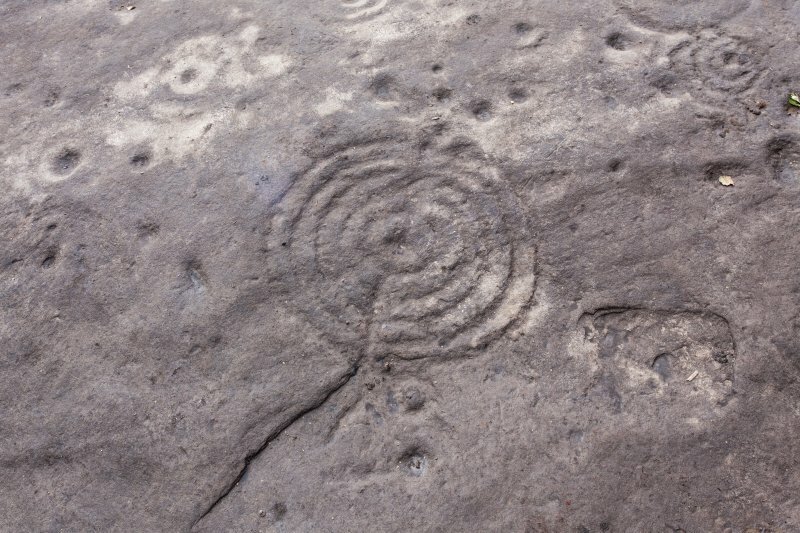 The cup and ring markings have been filled with white paint. 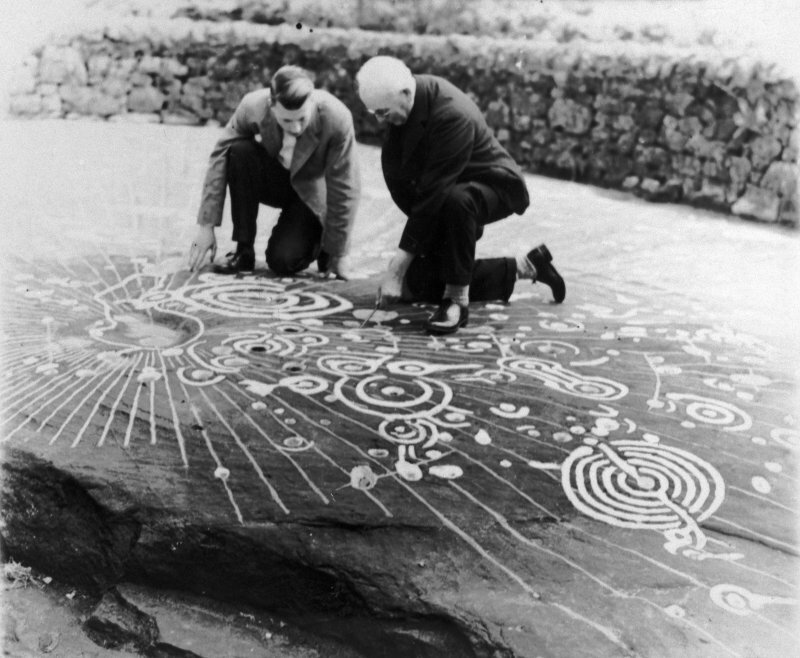 J Harvey 1889; J Bruce 1896; A D Lacaille 1925. 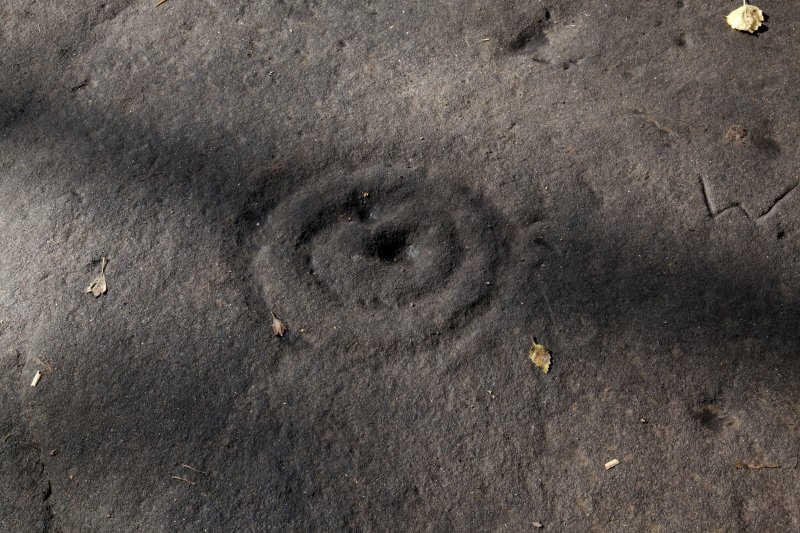 This cup and ring marked rock was entirely covered with turf a few years ago to protect it from vandalism. 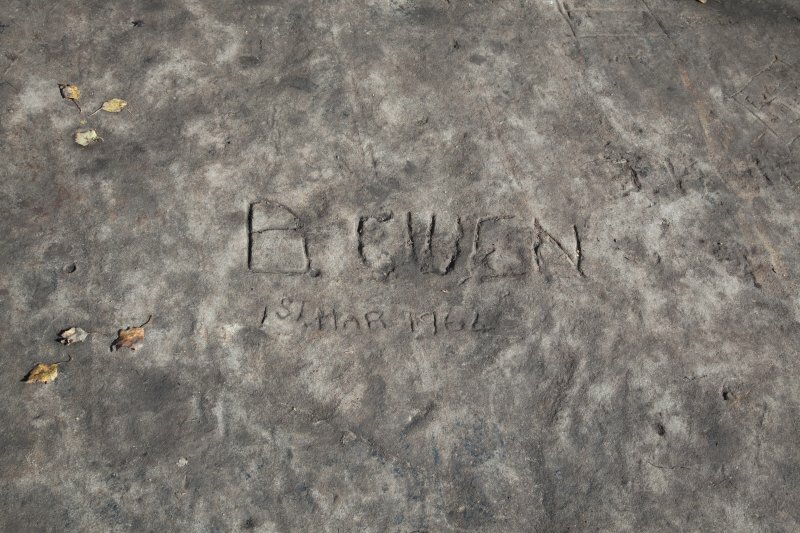 Visited by OS (W M J) 10 April 1951. 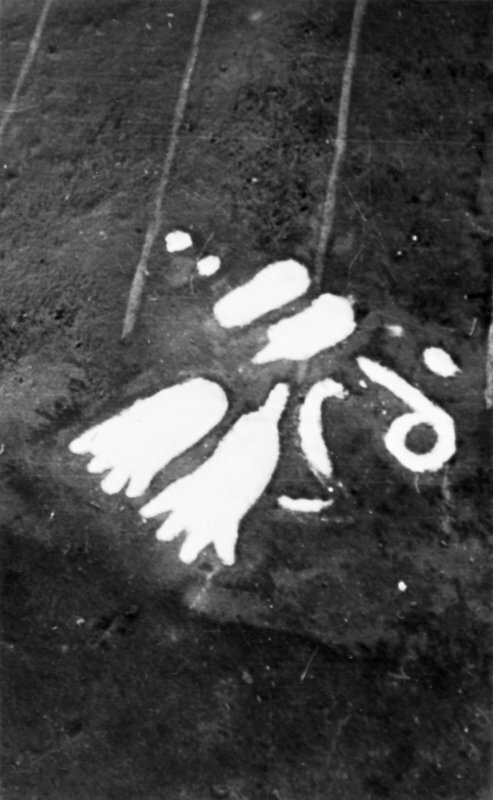 Information from OS field Survey, May 1987.